The irony of this stall is their best selling dish are their fish dishes, not Bak Kut Teh (or pork rib herbal soup) as you would have assumed, based on the name of the stall. 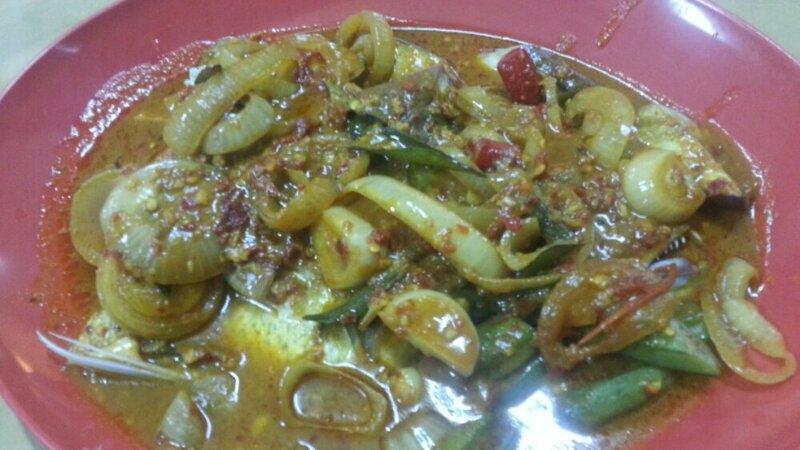 One of my favorite dish there is their Asam Curry Fish Head. They use Angkoli fish head (Goldband Snapper) and is served with generous ingredients such as onions, ladyfingers, red chillis and binja which adds to the savoury of the curry. The onions in particular, is so well cooked that I could just eat it with rice. The fish meat is fresh, and the price of curry fish head range between $18-20 depending on the seasonality. In case you ask, I personally do not recommend the bak kut teh there, you are better off with their other soup offerings.